Publicized, as “A Summit for Innovators and Experts” The New York Times Art Leaders Network Conference held in Berlin, Germany, April 25th and 26th was a spectacularly successful event with speakers and attendees from 40 different countries. 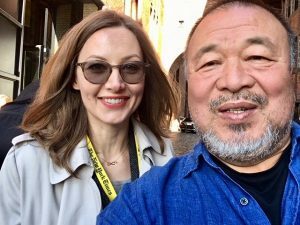 Art historian Karolina Stefanski and artist Ai Weiwei. The purpose of the invitation-only event was to bring together prominent museum curators and directors, gallery owners, artists, collectors, auction house executives and experts to examine and discuss the art world. This was the event’s first year, and The Times assembled an impressive list of speakers. To name only a few were artists Ai Weiwei, Jordan Wolfson, and Alicja Kwade; museum directors Glenn Lowry (The Museum of Modern Art, New York), Tristram Hunt (Victoria and Albert Museum, London), Markus Hilgert (Museum of the Ancient Near East, Berlin), Gary Tinterow (Museum of Fine Arts, Houston), Daniel Weiss (The Metropolitan Museum of Art, New York), and Michael Govan (Los Angeles County Museum of Art). Among the many other speakers who hosted and participated in discussions were curators Ann Temkin (Museum of Modern Art), and Navina Haidar (The Metropolitan Museum of Art); and auction house chairmen, Marc Porter (Christie’s), Edward Dolman (Phillips), and Amy Cappellazzo (Sotheby’s); and a number of gallery owners and directors, collectors, art dealers, and New York Times journalists. Excerpt: Cuba, a land of swaying palm trees and rum so dark you couldn’t see them through your glass, captures the imaginations of Americans as a forbidden tropical Eden waiting to be rediscovered. 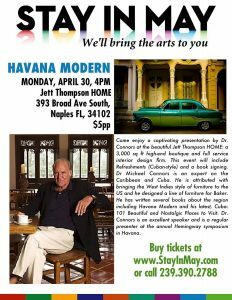 For those who want a taste of what lies behind the now-penetrable curtain that hangs between our countries, design expert and Caribbean-ophile Michael Connors presents his books, “Havana Modern” and “Cuba 101: Beautiful & Nostalgic Places to Visit,” at 4 p.m. Monday, April 30, at Jett Thompson HOME, presented by Stay in May. 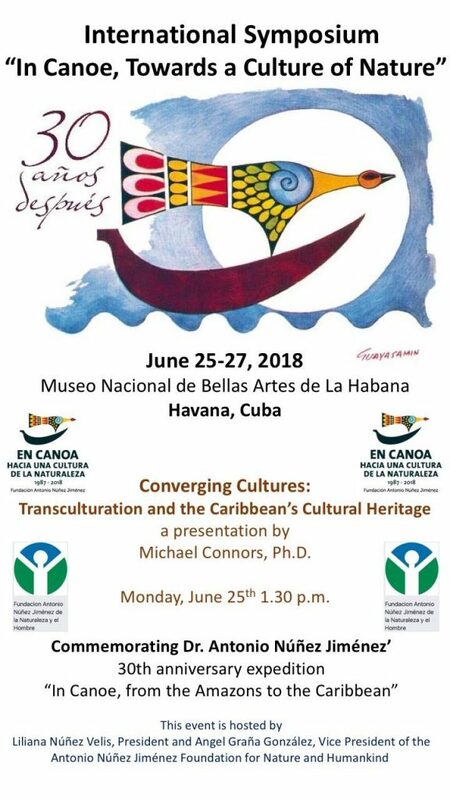 Meet Dr. Michael Connors in Havana, Cuba from June 25-28, 2018 for the International Symposium, “In Canoe, Towards a Culture of Nature.” The Antonio Núñez Jiménez Foundation for Nature and Humankind (with President, Liliana Núñez Velis, and Vice President, Angel Graña González) will welcome participants for the 30th anniversary of “In Canoe, from the Amazon to the Caribbean.” Antonio Núñez Jiménez, who researched the diversity and proved discovery and transcultural connections between South America and the Caribbean, will head the expedition. 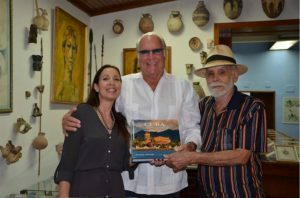 Pictured (from left to right): Liliana Núñez Velis, Dr. Michael Connors, and Angel Graña Gonzalez. WHY CUBA IS THE CARIBBEAN ISLAND TO VISIT IN 2018? 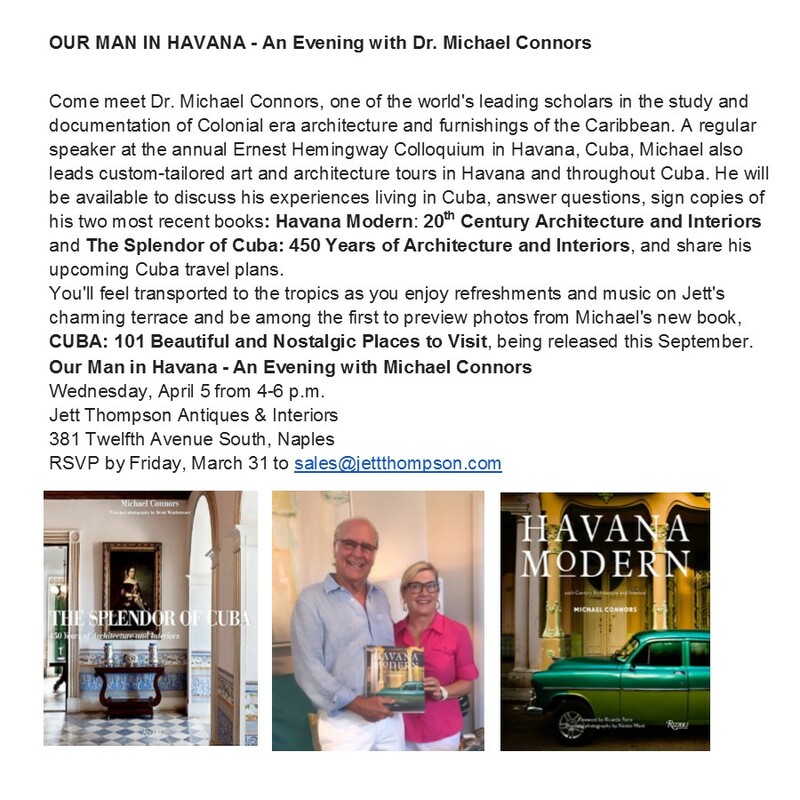 When envisioning Cuba, images of 1950s American cars, historically significant architecture, pristine isolated white sand beaches, and Buena Vista music ensembles come to mind. But, for those who venture beyond the capital city of Havana, there are the dramatic landscapes and tobacco fields of the island’s western province, Pinar del Río; and the tourist-free eastern mountainous provinces of isolated and undiscovered colonial towns and villages suspended in time. Even though the current administration in the United States White House is attempting to reverse President Obama’s 2014 travel directives, both individual and group travel is still legal. In addition, Cuba remains the safest place in the Americas! 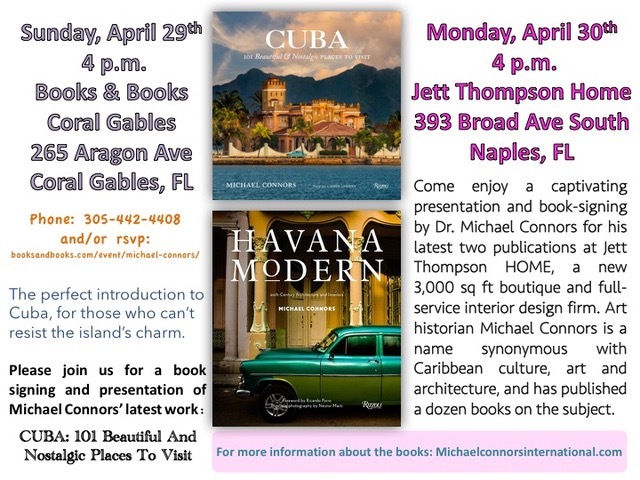 It is a perfect time to visit before the floodgates open – visit Cuba is now. A one-hour documentary for broadcast television also suitable for webcasting, downloading as digital movies and retail sales. 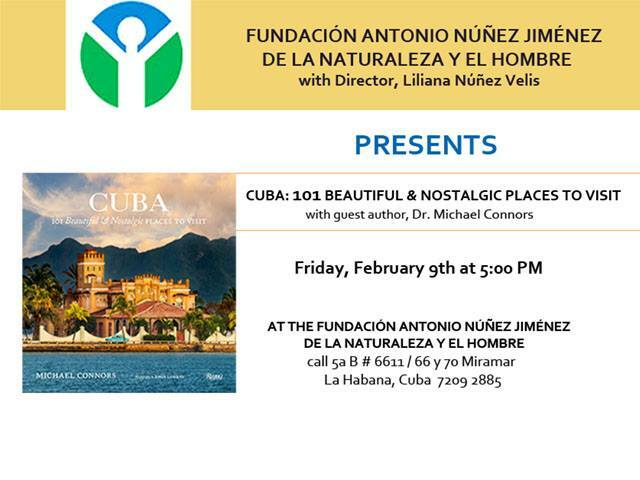 The program will highlight historic Cuban architecture and interior design from the first structures built around 1500 to the present. Cuba is the only Caribbean island showcasing every example of traditional classical architecture, a collection that has been called the most beautiful and significant in all the Americas. 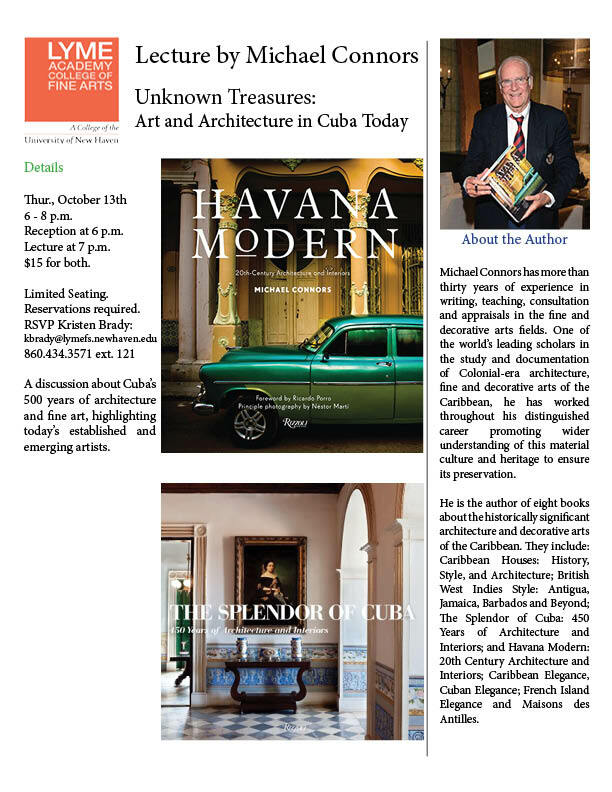 The program will be hosted by Dr. Michael Connors, a celebrated authority on Cuba, its art, culture, and history. Support the Kickstarter project here. Wednesday, March 16, 2017 – Leaving my favorite restaurant, La Guarida, with our fearless leader, Michael Connors (on the left) and our group… with a little attitude! One more trip is planned from April 17-23, 2017 for Lyme Academy College of Fine Arts. There are a few spots still available, if interested. 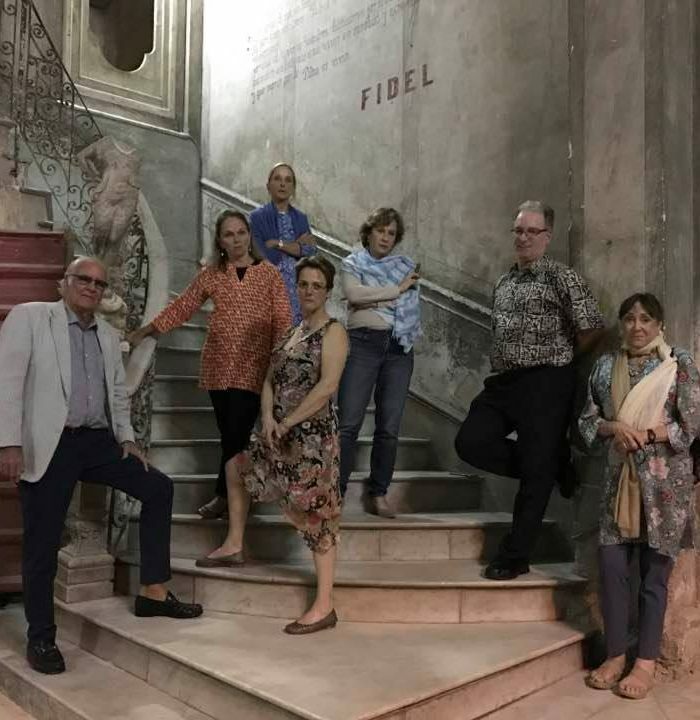 🇨🇺 — with Michael Connors, Kate Millard, Viola Tagliatela, Abigail Collier Floe, Stephen Tagliatela and Ana Daniel. 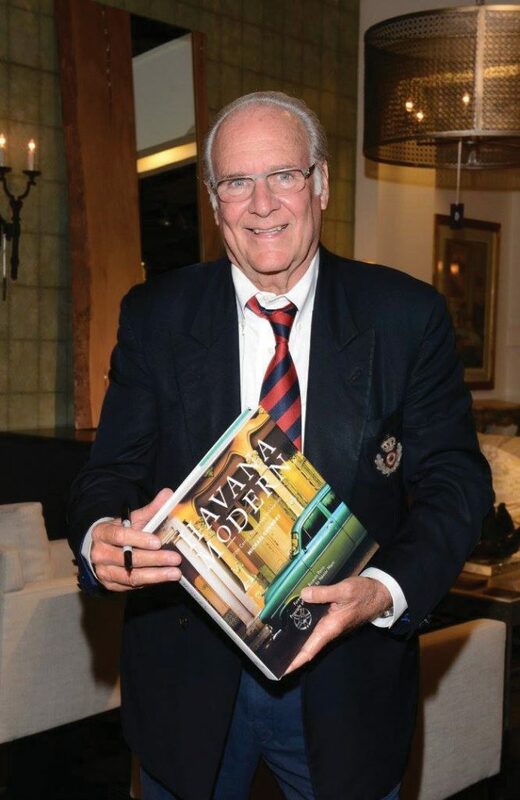 Michael Connors delivered Tory Burch children’s uniforms to Sister Teresa’s School in Old Havana. 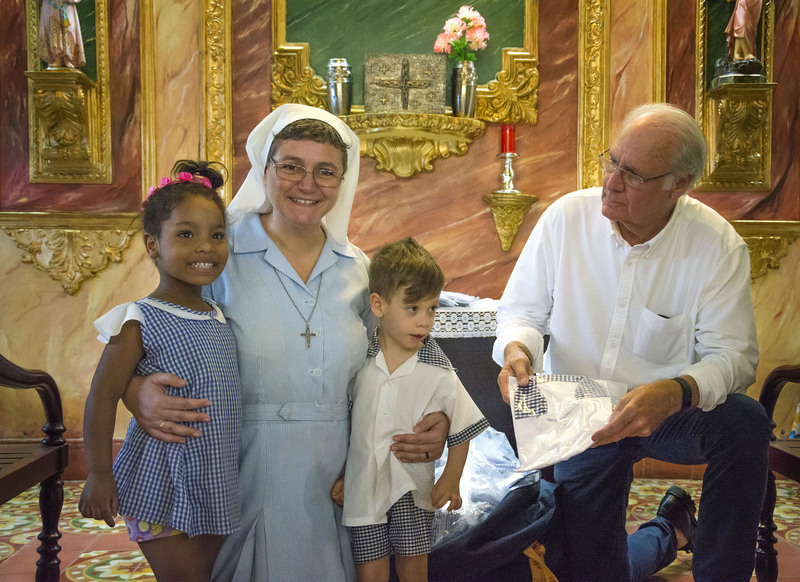 Pictured below is Michael Connors and some of the happy children who received those uniforms. 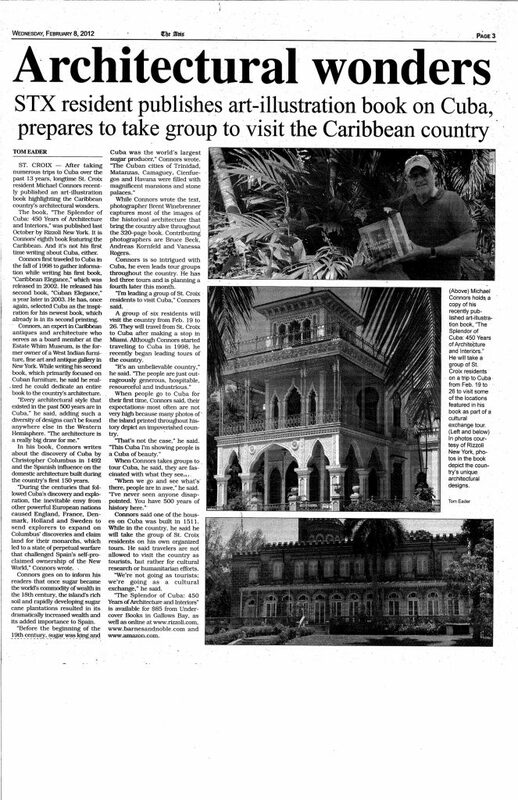 Michael Connors visited Ernest Hemingway’s Cuban home, Finca Vigia, to donate baseballs to the neighborhood little league team.